"Gillum's upset win is proof positive that there’s a progressive revolution underway, and the old guard establishment can either get on board or get out of the way," Working Families Party National Director Maurice Mitchell said. Andrew Gillum's platform includes criminal justice reforms, support for Medicaid expansion and Medicare For All, and codifying the Affordable Care Act’s birth control benefit. Tallahassee Mayor Andrew Gillum won Florida’s Democratic gubernatorial primary on Tuesday in what is being hailed by progressive groups as a major upset. Gillum picked up his party’s nomination for governor after winning 34.3 percent of the vote, defeating rival candidate former U.S. Rep. Gwen Graham, who had been considered the front-runner before picking up 31.3 percent of votes. Five other candidates also ran for the nomination. Gillum was endorsed in the primary by #VoteProChoice and leading progressive organizations including Democracy for America, the Progressive Change Campaign Committee, the Working Families Party, and Our Revolution. His platform includes criminal justice reforms, support for Medicaid expansion and Medicare For All, and codifying the Affordable Care Act’s birth control benefit to ensure that Florida residents will have access to contraceptive care with no co-pays. 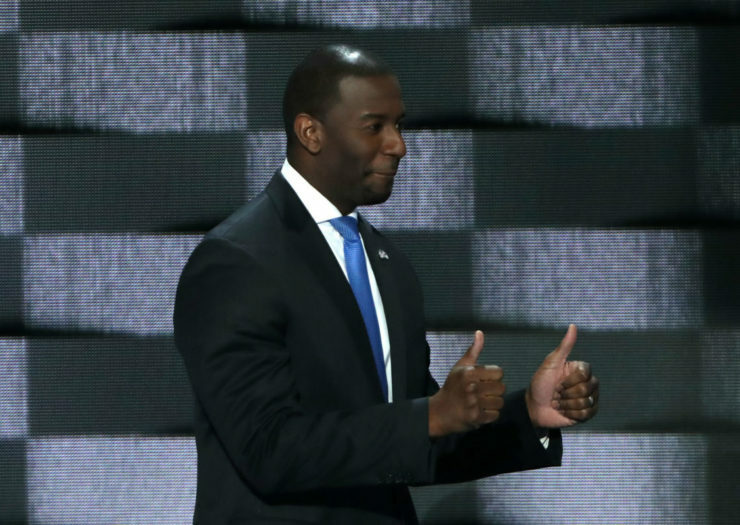 Gillum would be the state’s first Black governor. Gillum will face Republican Rep. Ron DeSantis in November’s general election. DeSantis, backed by the president, won a primary race that included state Agriculture Commissioner Adam Putnam. Both Republicans reportedly said they would sign a “heartbeat” bill, legislation criminalizing abortion care before many know they are pregnant. DeSantis’ campaign site includes a pledge to “defend the right to life by signing pro-life legislation into law” if he becomes Florida’s next governor. During his time in Congress, he co-sponsored efforts to restrict access to reproductive health care and general health care, including an attempt to defund Planned Parenthood and an attempt to repeal the Affordable Care Act. Florida’s closely-watched U.S. Senate Race between incumbent Democratic Sen. Bill Nelson and Gov. Rick Scott (R) was solidified in Tuesday’s primary. The seat is considered a key battlefield for both parties and a “toss-up” race. Scott has already spent over $27 million in the race compared to the $6 million spent by Nelson, according to the Center for Responsive Politics’ Open Secrets database. Scott, a former hospital executive whose company paid $1.7 billion in fines for defrauding Medicare, was encouraged to run for the Senate by President Trump after Scott’s two terms as governor. The state has repeatedly refused to expand Medicaid access while simultaneously chipping away at reproductive rights during Scott’s time in office. In Arizona, Trump ally Joe Arpaio and former state Sen. Kelli Ward were defeated by U.S. Rep. Martha McSally in Arizona’s Republican U.S. Senate primary to fill Sen. Jeff Flake’s (R) seat. Though McSally was often framed as the more moderate candidate among the Republicans in the primary, she has voted in line with Trump 97.8 percent of the time since he was elected, according to FiveThirtyEight. She rallied her House Republican colleagues in 2017 to advance the repeal of the Affordable Care Act. McSally will face Democratic Rep. Kyrsten Sinema, who won her primary with 80.8 percent of the votes. Sinema was endorsed during the primary by pro-choice groups such as EMILY’s List and Planned Parenthood Action Fund. Oklahoma also held its primary runoffs on Tuesday to determine the state’s Republican nominee for governor, with Kevin Stitt defeating Mick Cornett with 54.6 percent of the vote. 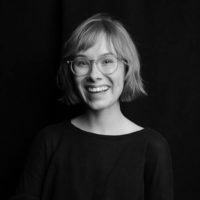 The winner of the Oklahoma’s gubernatorial race could play a critical role in determining how the state will act should Roe be overturned thanks to a pre-Roe “trigger law” criminalizing abortion except in cases of life endangerment, as Lauren Holter reported for Rewire.News. Neither Republican candidate for governor explicitly stated their opinion on the state’s pre-Roe ban, though both promised to restrict abortion rights. Stitt, however, said during an April forum that he would move to restrict abortion if elected. Stitt has also promised to appoint anti-choice justices to the state’s supreme court, according to NewsOK.